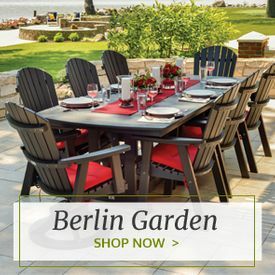 Geared toward high-style spaces with a need for durability and craftsmanship, our top-quality garden decorations will help you achieve the perfect balance between functional and enjoyable. 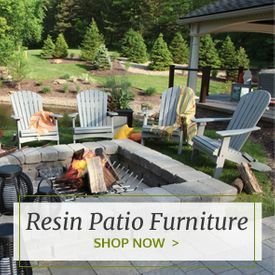 From artistically inspired patio heaters and practical fire pits that will warm your outdoor green space in the chilly winter months, to charming wood garden bridges that add a touch of rustic whimsy to your backyard, this selection of grade-A garden decor essentials includes everything you need to create a truly outstanding outdoor oasis. 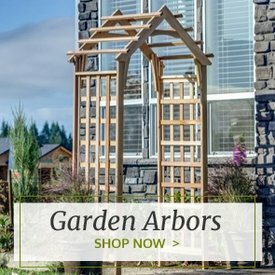 Our garden wood decor selection is packed with stunning, earth-inspired wooden planters, arbors and porch swings that are made to perfectly complement any environment, including wooded backyards and urban patios alike. The perfect garden wood decoration can completely reinvent any space, adding new dimension and color that people will notice. 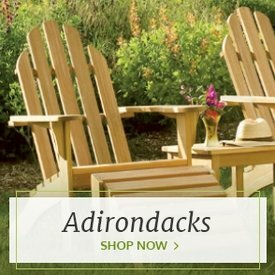 All of our wooden garden decor items are made from high-grade cedar that offers a long-lasting construction and a stylish, natural-looking finish. If you're looking for a new way to enjoy your backyard all 12 months of the year, explore our selection of striking patio heaters and fire pits. It doesn't matter if you're going for contemporary cool or timeless traditional, our innovative and tasteful outdoor heaters will help bring warmth and light to any patio or porch. We carry free-standing patio heaters, hanging patio heaters and table top patio heaters in both electric and gas-powered options. Meanwhile, we offer the best selection of artful fire pits anywhere that make the ideal centerpiece for your inspired outdoor seating configuration. 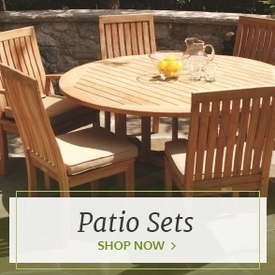 Outdoor Furniture Plus also specializes in unique outdoor garden decor items ranging from bird feeders to holiday plaques to ensure that your patio appears as put-together as possible. Antique, pre-weathered sundials make the ideal garden accents, while our eye-catching gazing balls allow for unique outdoor reverie in ways you never thought possible.